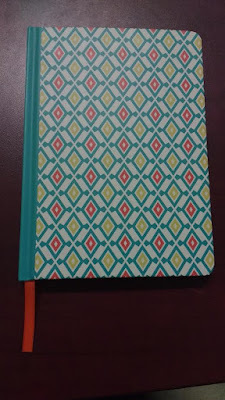 Life of a Catholic Librarian: Do you keep a journal? And I still cannot fully pinpoint why this happens, and why journaling does not appeal to me in a long term format. I'm currently keeping a journal for Easter season via Blessed is She, and I do really like it. But this is an extremely short form and short term project that will end at Pentecost. When I have a date goal in mind, I can usually stay motivated. It's the "throughout my life" thing that usually throws me the curve ball. But indeed, I *have* been enjoying the Easter journal, and I'd like to start investing in the Blessed is She Advent and Lent journals as well. Same deal. Short term goal, so I should be good. I wish I would keep up with this during Ordinary Time, but I know that I won't, so I'll stop torturing myself. And it's interesting, because I have always seen this blog as a journal of sorts. Granted, with a good deal of censoring and not exactly baring my soul the way I would in a journal that nobody read but me and God. :0 But I do share a lot with you, my friends. I certainly use a lot of discretion, but blogging is indeed a form of online journaling. And why do I like it so much more than keeping an old fashioned journal? Maybe *because* I have to be more creative and editorial in what I choose to write about since I am writing for others besides just myself. Indeed, I'm writing for others, for you. That brings a certain level of appeal to this writer. I don't want to write just for myself. I love fostering a sense of community and feeling like at least a few people out there enjoy reading what I have to write about, despite my less-than-perfect abilities. I love blogging, I really do. So if you choose to stick around, you can be stuck with me for as long as you'd like. ;-) But how do YOU feel about journaling? Do you keep a journal? Do you feel that blogging is akin to journaling in some ways? I'd love to hear from you! OMG, no I hadn't heard of this!!! I *love* this idea! But yes, like you, I see this as something I'd start out doing full steam and then then momentum. ;-) BUT it would indeed be a good endeavor for Advent and Lent, and maybe you could work your way through it over a long period of time? I really do think it's a marvelous idea! So much easier to do and keep track of with everything all within the same volume. oooo, thanks Cindy! I will check this out! Cindy, I just saw this! It's not the whole Bible, it's Psalms and New Testament, but still, I was very excited and immediately thought of you! I've never been much of a journaler although there are times when I thought I should be. 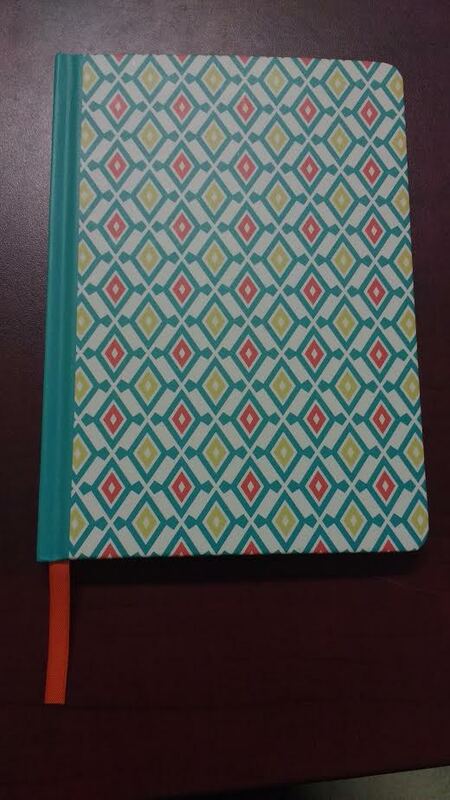 I do currently have a journal but it doesn't get used often. Mostly I take it to retreats or talks I go to and use it for note taking. Yep, sounds very similar to me. The journal pictured in this post, that I'm currently using for the Easter journaling endeavor, I had leftover from previously making notes on monthly novenas and prayer intentions. It's a good idea to have something in the bedside table for when you need, I think, but I know I'm just never going to pick up a pen and write in it every single day! I never kept a journal. But I've been blogging since 2005 (much more sporadically now, as I use up my writing energy doing other projects). A blog is most definitely a journal! Glad you agree. It's a sub-genre, but definitely journaling! I also enjoy other types of writing in community, like over at Catholic Mom. <3 Life is good! I, like you, have tried many times to keep a journal. It lasts about a week and then I lose interest. For student teaching I was supposed to keep a daily journal. Mine usually just had weekly entries, and there were a few weeks I forgot. Whoops! I am liking the Road to Pentecost journal, though, and I think it's easier for me because there are prompts to think about every day. I definitely think that blogging is a way of journaling! I keep thinking about trying that, but it never works out. *shrugs* Maybe I'll try a few years into having my own classroom. I have kept journals off and on for most of my life. At times I do story so there are dry periods, or I get too busy to journal but lately I've been feeling the urge to begin again. It's odd but most of the time I don't go back to re-read my old journals, but I know they are there. I LOVE journals but I'm really bad at keeping up with them. Like the blessed is she ones half of the journal is blank....oops. Cristina did get me into bullet journaling last year and in there I have been journaling in the midst of all my planner stuff. I can say that when i take the time to journal regularly my mood/emotions are 10X MORE stable than when I don't. But it is so hard to make the time to do it. Totally with you, girlfriend. I'm still keeping up with the BIS Pentecost/Easter journal, but I can tell that I have to put in twice the effort just to pick it up at night, lol! So I can understand how oftentimes, the latter half keeps getting left blank. We persevere!